i've been really tired for no good reason over the past week... not sure what's going on! i was bummed because my friend wanted me to go with her to a barn she rides at, but i was just too exhausted after my lesson today. it's really cramping my style! 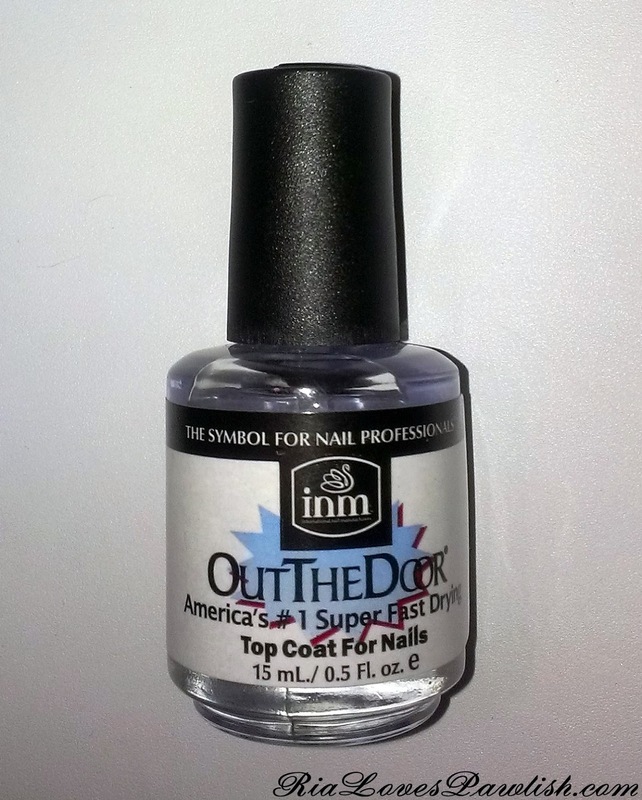 i thought i'd go ahead and talk about Out The Door top coat. i've been trying it out, and i'm just not wowed. i was really exciting to try it because i've seen so much buzz about it... but i just don't think it lives up to the hype! the good is that it doesn't cause polish to shrink back from your nail tips, and it does dry fairly quickly. however, it's just not shiny and rich looking once dry... both Seche Vite and Poshe look like glass. Out The Door simply adds a touch of shine which dulls up pretty fast. this is one i won't be grabbing for much, i think the only way i'll use it is to help dry coats while doing nail art. i found Out The Door at CVS for less than $10, i think closer to $5! i believe it's available at Sally's and Ulta as well.